For example in the Exchange Variation of the Spanish 1. e4 e5 2. Nf3 Nc6 3. Bb5 a6 4. Bxc6 dxc6, White gives Black the Bishop pair, but gains a potentially winning pawns-only endgame. Are there other situations where a player may ruin an opponent's pawn-structure thus gaining a (potentially) decisive endgame advantage? On the other hand, are there openings in which a player may decide to sacrifice his pawn structure in order to get other kind of advantages? I'm not looking for 'bad' pawn-structures, I'm looking for those which are winning/losing according to theory, if we remove all pieces from the board except the Kings. 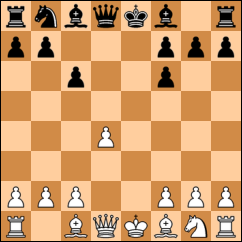 if we were to remove all the pieces and leave a pure king-and-pawns endgame, then White would have a winning advantage, because he has a healthy pawn majority on the queenside which can create a passer, while the doubled pawns of Black's kingside majority make it so that White can prevent her from creating a passer. So this is an accurate answer to your question. The only reason I call it "cheap" is because the pawn structure here is just a mirror-image of the Ruy Lopez Exchange structure your question already mentions, but I guess that doesn't make it any less of an example. I think one reason your question hasn't gotten any answers until now, though, is that for the resulting pawn endgame to really be a winning one structurally, it seems you need this feature that one side can forcibly make a passer while the other side can't, and that means having a workable majority for one side and a "broken" one for the other. That basically requires there to be (1) some doubled pawns for one player, and (2) two distinct sides of the board, in terms of the pawn islands remaining. (E.g. if the white e-pawn and black d-pawn hadn't been exchanged in my example, then the pawn endgame wouldn't yet be a winning one.) And there's actually not so many (truly distinct) ways for that to happen, at least not in realistic ways. Another common sort of opening that would at least feature a very favorable pawn endgame for one side is those in which one side has an isolated queen pawn. The side that has the isolani could find his king being so tied down to its defense that the other side can force a win. But this won't always be the case, so I wouldn't give that as an answer in and of itself. If you want to find some further openings that at least get part of the way toward what you're after, ones with an isolated queen pawn would be a promising place to look. All in all, for the reasons I've spelled out, I'm not too optimistic that you'll find all that many (essentially different) examples of what you're after, but I hope this helps. 1. e4 e5 2. Nf3 Nc6 3. Bb5 Nf6 4. O-O Nxe4 5. d4 Nd6 6. Bxc6 dxc6 7. dxe5 Nf5 8. Qxd8 Kxd8. Despite being technically and endgame and the white paw majority on the kingside being more or less mobile (thus awarding him a theoretically tangible advantage), this is a modern tabiya of chess. Generally, openings that result in compact connected pawn structures are known to result in good positions when pieces are traded but can be cramped and too defensive if pieces are not traded. For e4, Classical Caro-Kann and French, Black gets the better ending if he survives the Middlegame. 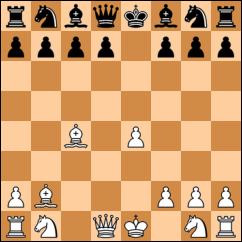 For d4, Nimzo-Indian, Queen's Indian, Maroczy bind structures usually favor Black in the endgame. Some Colle and Slav positions give you the queenside pawn majority which can be winning in K + P endgames. Not the answer you're looking for? Browse other questions tagged opening strategy endgame pawn-structure or ask your own question.